I'm a book hoarder. There, I've said it. There's come a time where I have to take charge and stop purchasing books. It's an endless circle of buying, shoving them on my bookshelf and then buying again. There's not even enough reading going on for the amount I am buying and it's come to the point where I'm feeling slightly overwhelmed by the amount of books I still have to read, yet buying books is such a wonderful feeling and I pick them up whenever I can. For those who say 'I don't have time to read' (me included) it's certainly not true. 10 minutes is all it takes, before you go bed, in the bath, reading is do-able anywhere and I'm one of those who could make the time if I chose to read rather than doing other things like watching tv, reading blogs or catching up on Youtube. Nothing beats a good book, discovering new characters and trying to work out the plots and wondering what will happen at the turn of every page. 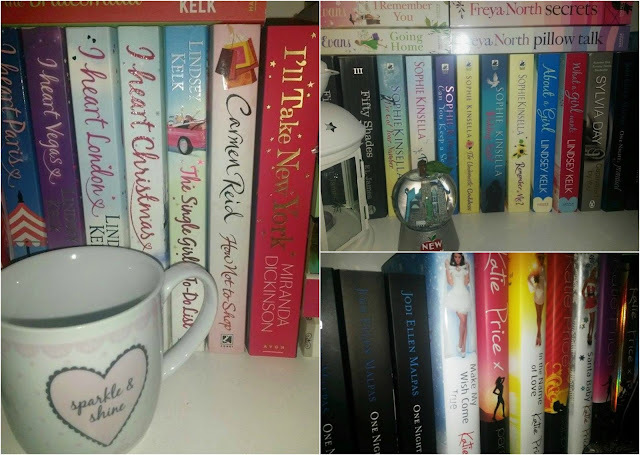 So, I've decided to come up with The Book List Challenge and if you're a big reader or find yourself coming up with the same 'I haven't got time' excuses I'd love for you to join me on this challenge. All you have to do is write down every single book you've still got to read or started reading but never finished. 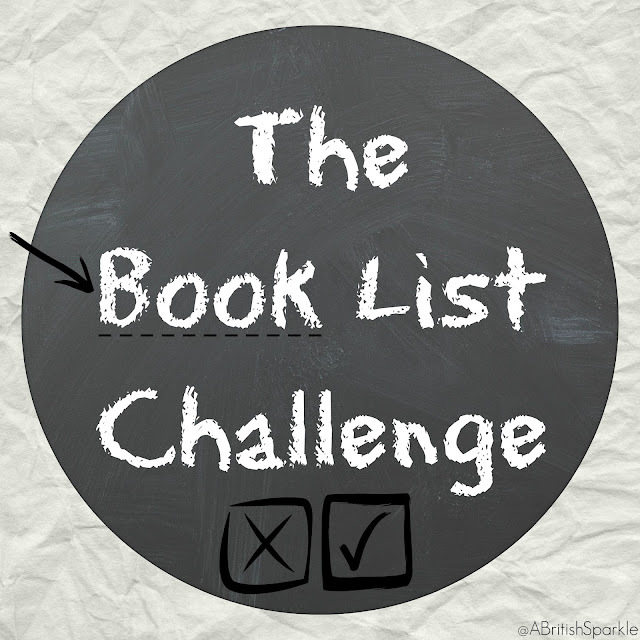 Add the above book challenge button to your blog and link it to your book list challenge post. Also, set yourself a deadline of reading all your books (this can be any time) and remember to regularly update your post by crossing off what you have read. Comment below with your links and I'll check out your posts and how you're getting on. The Maze Runner by James Dashner - This is my current read, but I shall be abandoning it for a little while well I read and complete Grey by E L James. I don't tend to start another book whilst reading another, but I loved the Fifty Shades trilogy enough to do so. 1. The Scorch Trials 2. The Death Cure 3. The Kill Order by James Dashner - book series here. 4. Girl Online by Zoe Sugg (aka Zoella). 5. A Perfect Heritage by Penny Vincenzi (Freebie with Birchbox purchase online). 6. The Mortal Instruments City of Heavenly Fire by Cassandra Clare. 8. The Love of Her Life 9. I Remember You 10. Going Home by Harriet Evans - all 3 here. 11. Chances 12. Secrets 13. Pillow Talk by Freya North - all 3 here. 19. Always the Bridesmaid 20. I Heart New York 21. I Heart Hollywood 22. I Heart Paris 23. I Heart Vegas 24. I Heart London 25. I Heart Christmas 26. The Single Girls to-do List all by Lindsey Kelk. My step-dad is a cub leader and regularly clears out bits of junk and things they no longer need. I was sat in their dining room and couldn't help notice the table had a couple of crates of books. I asked what they were doing with them and my step-dad informed me they were going to be getting chucked in the bin. Well, me being the book lover I am wasn't going to allow that to happen. 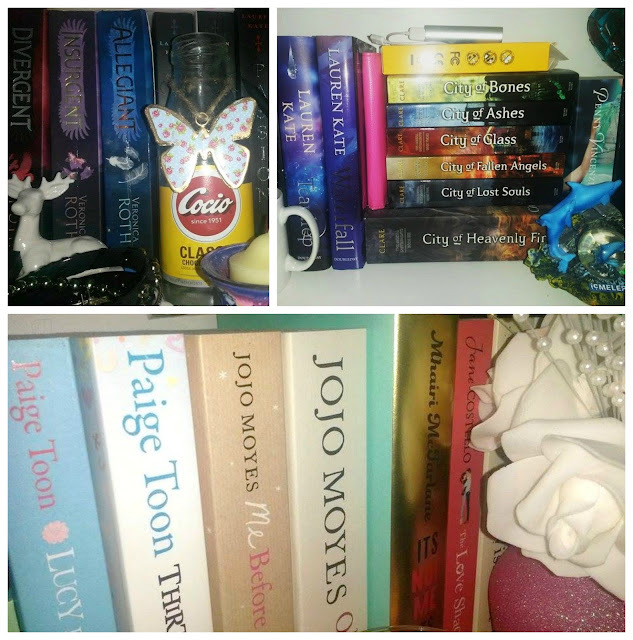 Between me and my sister we had a look inside to see which we'd like to read and the remaining I took to give away to charity. Extra - flick through reads. I have several books on my Kindle, but it's been so long since I actually touched it that I can't even remember what they are. All my unread books on my Kindle are freebies, so I guess it isn't all bad. My first deadline will be to read 10 books by the end of September. Some books were gifted to me by family at Christmas and my Birthday. I saw the maze runner movie, not bad! Great post! I'm not a book hoarder per se - but definitely an ebook hoarder! It's really bad... But I really loved the Maze Runner series, especially the second book! Make sure to watch the movie(s) afterwards. :) I liked Thomas wayy better in the movie, mostly because I watched some outtakes and Dylan O'Brien seems to be hilarious. I'm on goodreads and my challenge this year is to read 100 books. I'm half way there!